The trauma and grief of growing up in an alcoholic or addicted family create a lifetime of baggage. 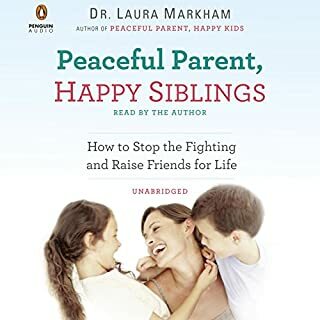 If you grew up in an addicted family, the dysfunction that permeated every aspect of your childhood may have seemed "normal", and you may not even realize the level of affect alcohol still has on your adult life - whether or not you drink. 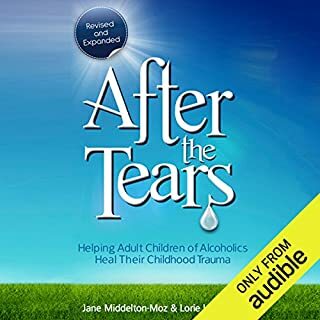 If you are one of the millions of Adult Children of Alcoholics (ACOAs), the cost of your childhood pain can be unbearable. You may have learned how to "survive", but are you "living" your life? 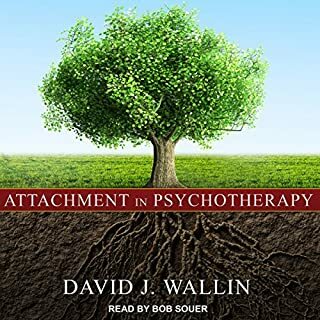 Great InSite to the world of attachment therapy. 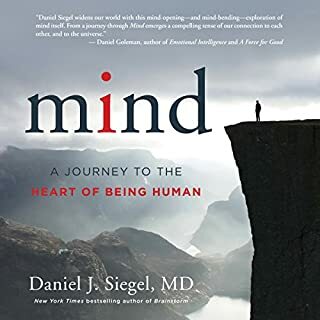 Auteur(s): Daniel J. Siegel M.D. 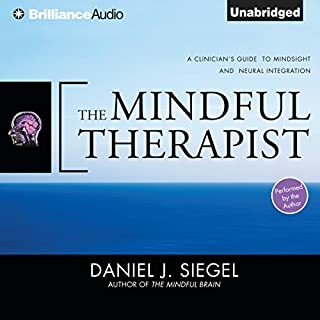 Narrateur(s): Daniel J. Siegel M.D. 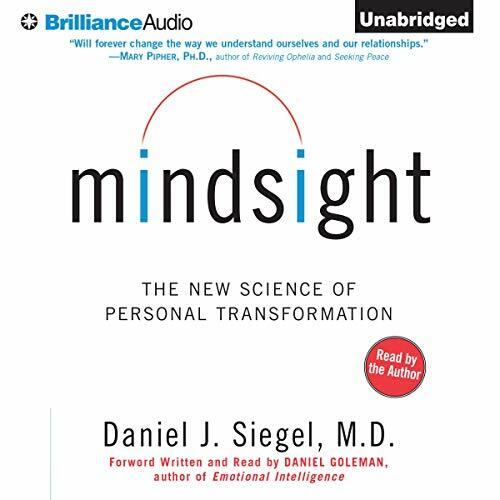 Based on thirty years of work with patients and on research drawn from nearly a dozen scientific fields, Mindsight brings these concepts alive through vivid case histories that show what happens when mindsight is missing, and how it can be strengthened in nine essential areas. 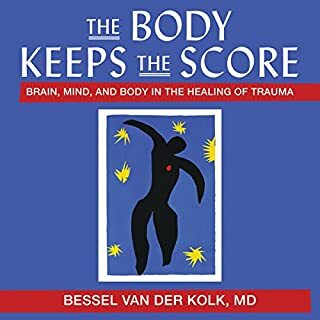 Listeners of My Stroke of Insight or The Brain that Changes Itself will discover new ideas about memory, emotion, trauma and brain-mind integration - plus a richer sense of their own humanity. 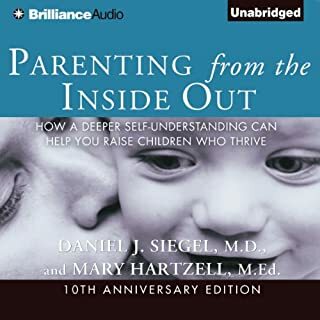 ©2010 Daniel J. Siegel (P)2010 Brilliance Audio, Inc.
you get a whole lot of everything with this one! worth it!!! Many very interesting insights. Presented in more of a lecture formate, rather than workshop or story. I struggled to finish this, but wotth the read nonetheless. Even if you hated your college psych classes, you will love this book. 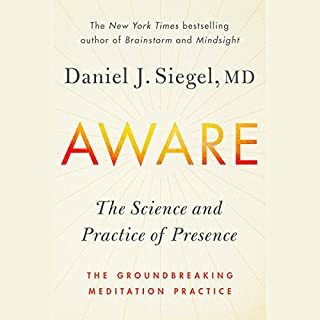 Siegel brilliantly shows--through case histories with his own patients--the connection between what we experienced as children and the physical responses our brains had to those experiences. And how it all adds up to how we act as adults. With all the talk about right brain/left brain going on these days, this books shows how we become more one than the other. And how you can change that if you need to. I especially love how he uses mindfulness meditation (nah, don't be scared) to help his patients get in touch with their inner workings. And what revelations come from it! This book is touching, funny, incisive, and truly beautiful. Best psychological model I've heard of.. 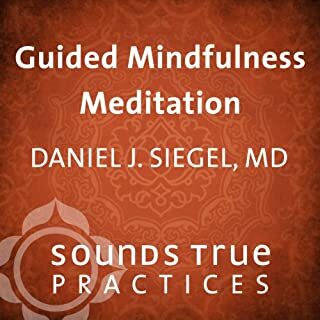 Essentially illuminating inner conversations which form personality traits and actions, Daniel's self-awareness meditation based therapy empowers clients to dissect their inner motivation for abnormal behavior. I've never heard someone get more clearly to the root of the problem. Grounded in reality and respectively fact, his case studies are relevant to the point that I have suggested this book to friends with exact same issues. Lots of information, perhaps too much. 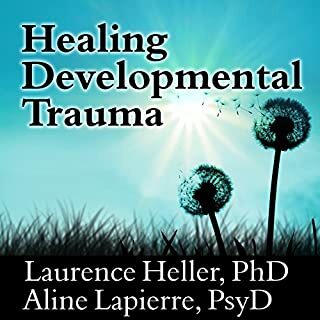 While it's clear to me that the author is quite knowledgable when it comes to the psychotherapeutic and physiological aspects of the topic, my overall experience was one where I found my attention wondering amidst a sea of rationale, stories, descriptions, and advice. The information appears to be solid and Mr. Segel seems like a genuine, caring person with lots of experience and a great degree of knowledge. What was lacking, for me, was a clear description of the PRACTICE of "Mindsight." 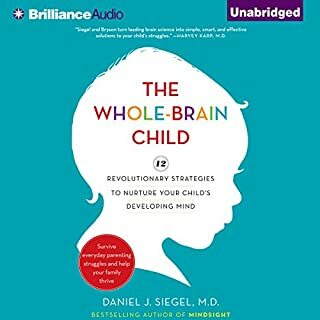 This book does a good job of making the argument for mindsight, talking about the many benefits, recalling stories having to do with various subject matter, etc., but when I was done listening to it, I didn't feel like he showed me how to use the information. This is more of a description of how the author thinks of and used Mindsight principles with his own clients, as opposed to helping the listener create a practice for actually personally transforming through the application of his methods. 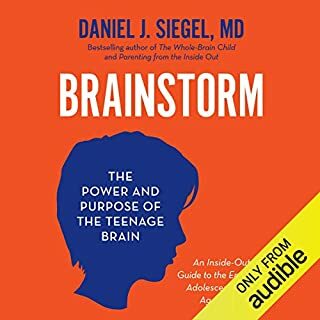 I found the use of 'story' and detailed descriptions of how the brain works overly complex and unnecessary. Still, the information is solid and holds promise as an integrated self-care practice. Perhaps a volume II will describe more fully how to actually practice Mindsight. This is a well written and insightful book which is full of practical information. Mr. Siegel does a wonderful job narrating, as well. I'm very glad that I listened to it. You should too!!! I've been practicing something like what Siegel talks about for the past 4 months. People that know me well say that I'm a very different person; more relaxed and more focused. I'm surprised when friends will tell me this out of the blue. 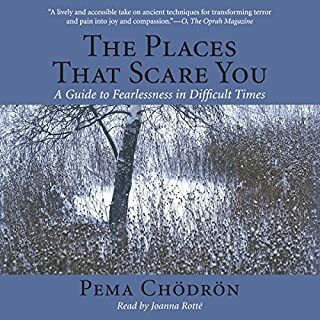 Listening to this book has helped put it all into context. Having practiced this, I'd have to agree that the author knows what he is talking about. Truly enjoyed this book. Not one to read unless you can give your undivided attention but definitely worth your time. Looking forward to listening to it again! 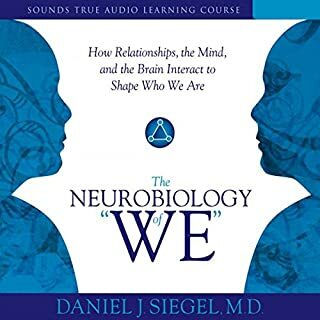 Fascinating theories of the mind and great neurological explanations for why we react the way we do. 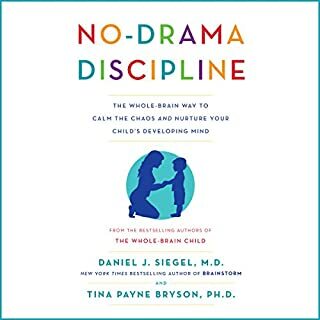 Made me want to read more of Siegel's work! 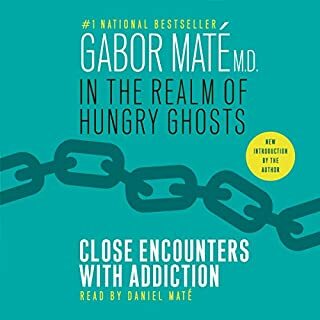 I would have given this book 5 stars except that I found author's voice so distracting. He has a gravelly voice (think Rod Serling) and I kept wanting to clear my (his) throat and therefore found it a bit difficult to concentrate on the content of what he was saying. That said, it was an excellent book for those who enjoy case studies and want to know how Mindfulness is practiced. Other readers found the explanations of various brain functions to be a bit heavy-going. I felt it answered exactly those questions I had been wondering about. I look forward to more from Dr. Siegel, but hope next time he opts for a professional reader. Great book a little to much detail. 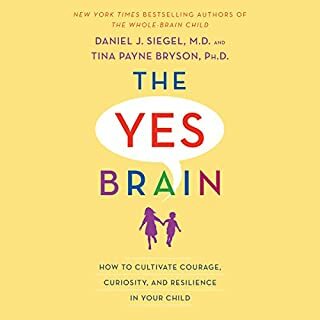 This is a great book about why we feel things and how to understand them. I found a little too much detail in the naming parts of the brain. I would have given it 5 stars, but for the mono tone voice of the reader. Daniel is no doubt a very good clinician and his voice would be very calm in that context but not for keeping the listeners interest. 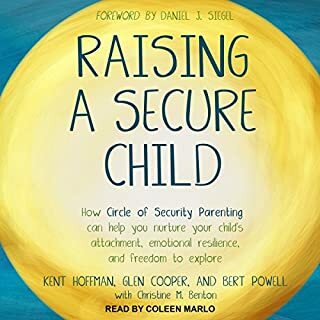 I will however be listening to this book several time to get the most out of it. Truly wonderful and useful! Don't let the Latin names of brain structures deter you from surfing the fascinating arc of this book, and the richness of observation that fertilizes our understanding of the Human Animal. The implications of the human brain's capacity for adaptive, structural change are radical for our lives. The implications for society and humankind are beyond staggering. I really wanted to like this book. I might by the Kindle version instead. The narrator's voice is unbearable. I could not make it past the first half hour. There's no way I can listen to that voice for 11 hrs and 45 mins.